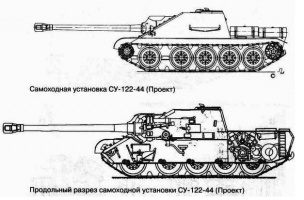 The SU-122-44 is a Tier VII Premium Russian Tank Destroyer. 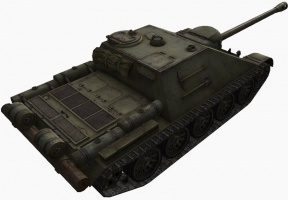 Also known as "Stalin's Hammer" Despite being a premium tank, the SU-122-44 boasts extremely high DPM, has an excellent angled armor for its tier, excellent mobility and speed, and great ammo capacity. 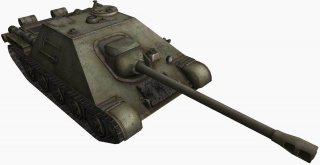 The SU-122-44 is also an amazing brawler and can outbrawl almost any tier 7 or lower tank. 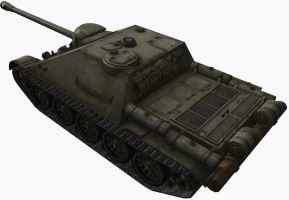 This tank is extremely fun, and is basically "go big or go home"
This page was last modified on 8 November 2018, at 12:53. This page has been accessed 39,300 times.